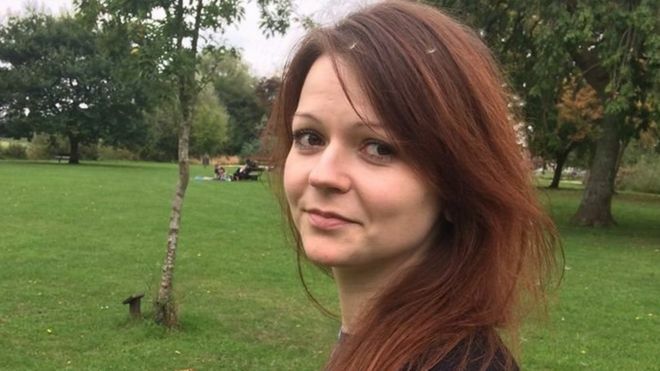 Yulia Skripal, the poisoned daughter of Russian ex-spy Sergei, has been discharged from hospital. The 33-year-old left Salisbury District Hospital on Monday night and has been taken to a secure location. The hospital said: "This is not the end of her treatment but marks a significant milestone." Her 66-year-old father remains in hospital and is "recovering more slowly than Yulia". Doctors hope he will be discharged "in due course". The pair were taken to hospital on 4 March after being exposed to the toxic nerve agent Novichok. The father and daughter were found slumped on a park bench in the centre of Salisbury.